Scottsdale, Arizona, is a town in the greater Phoenix area with a population of about 227,000. It sits approximately 10 miles northeast of downtown Phoenix in the Salt River Valley. To the west of Scottsdale is McDowell Mountain Regional Park. If you’re looking for homes in Scottsdale you will find a large range of options. The residential real estate market there is medium-sized, with about 100,000 properties. Two thirds of homes in Scottsdale were built between 1970 and 1999. Although the general median price for Scottsdale real estate is $388,000 it really depends on the part of Scottsdale you’re looking in. The city is broken up into four neighborhoods: Old Town Scottsdale (downtown), Central Scottsdale, North Scottsdale, and South Scottsdale. South Scottsdale’s homes have a median price of $292,000, whereas North Scottsdale homes have a median price of about $667,000. There is a robust luxury home market in the area. By virtue of its geographic dimensions and welcoming character, Scottsdale has something for everyone, with properties ranging from cozy starter homes to magnificent desert estates nestled into exclusive master-planned communities. For the most affluent buyers, life in Scottsdale can be like enjoying the perfect vacation every day of the year. 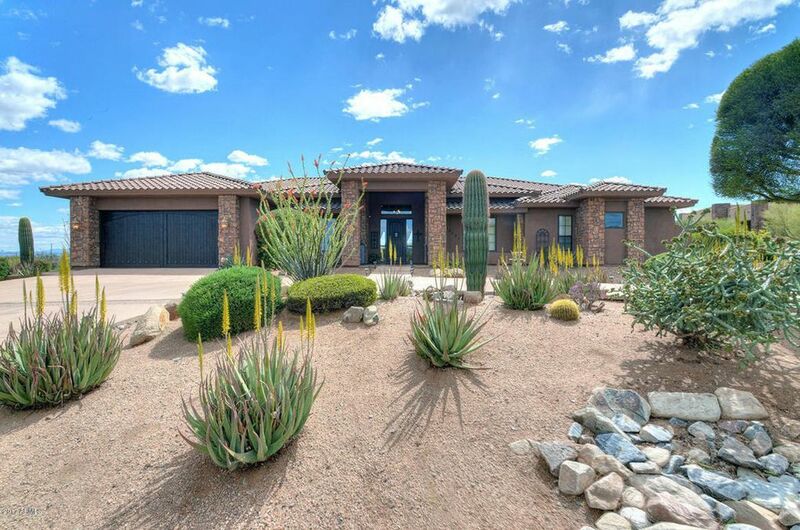 Prestigious golf communities such as Desert Highlands provide their members with only the finest luxuries, while the rugged natural landscape of Scottsdale’s mountainous regions offers countless diversions for outdoor enthusiasts. With the perfect climate for business and pleasure, Scottsdale is a wonderful place to call home.